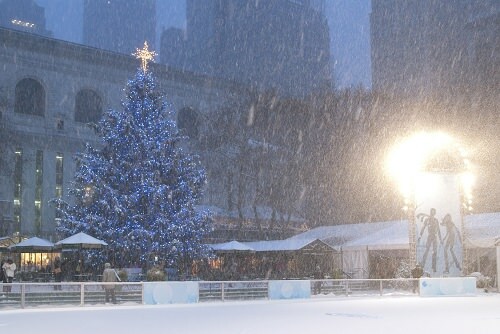 Starting from November and during the holidays Bryant Park becomes the home of New York’s best Christmas Market. The Holiday Shops include more than 125 boutique-like shops offering exquisite gift ideas from distinctive apparel to jewelry, decorative goods, local foods, and much more. There is something for everyone – adults, kids, and even pets. As Christmas draws closer, the market extends its hours and offer discounts. There’s even a skating rink with free admission, in addition to high quality rental skates, ice shows, special events, and activities.